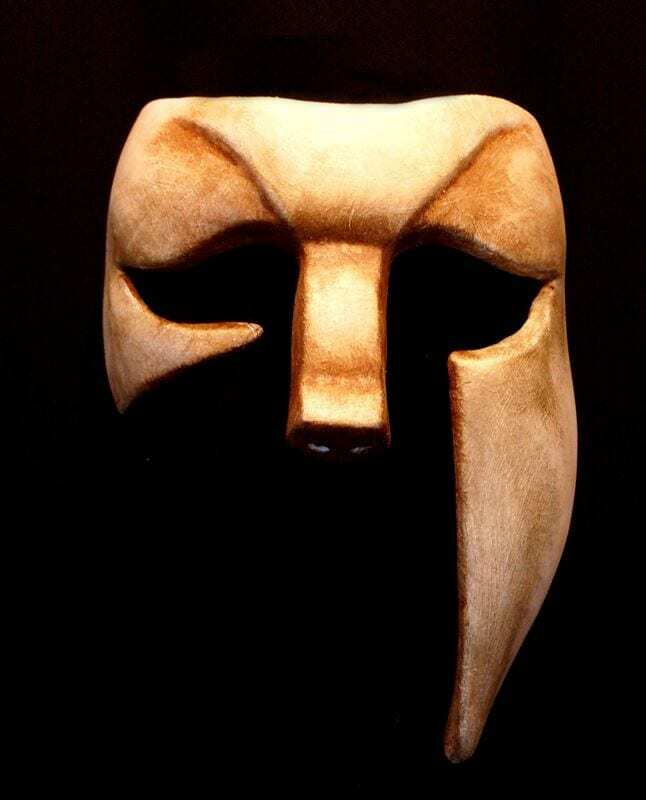 The Greek Theater mask was originally created for the metal band Absentia Lunae and has become a very popular mask in the Greek theater mask category. 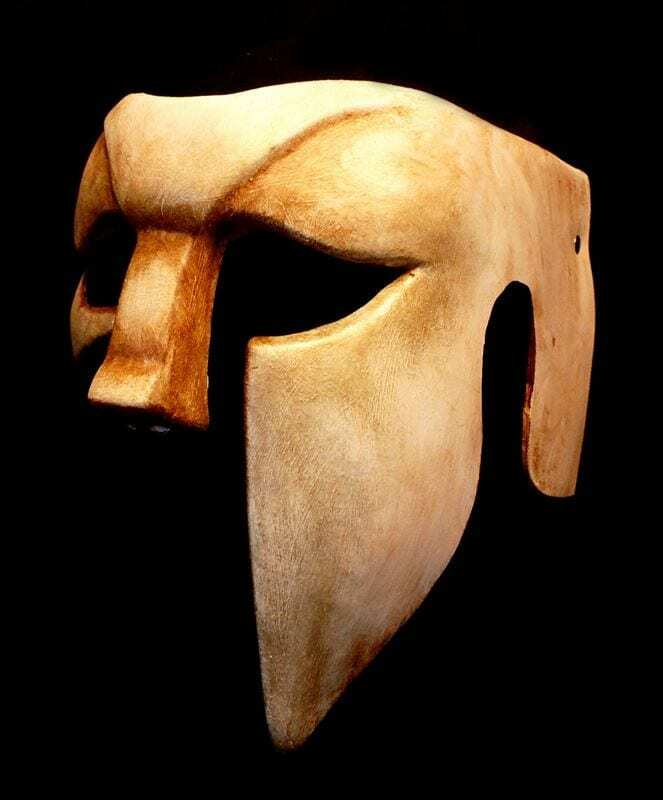 The Greek Theater mask wraps around the sides of the head to create the illusion of protective armor. Ask for different paint treatments. 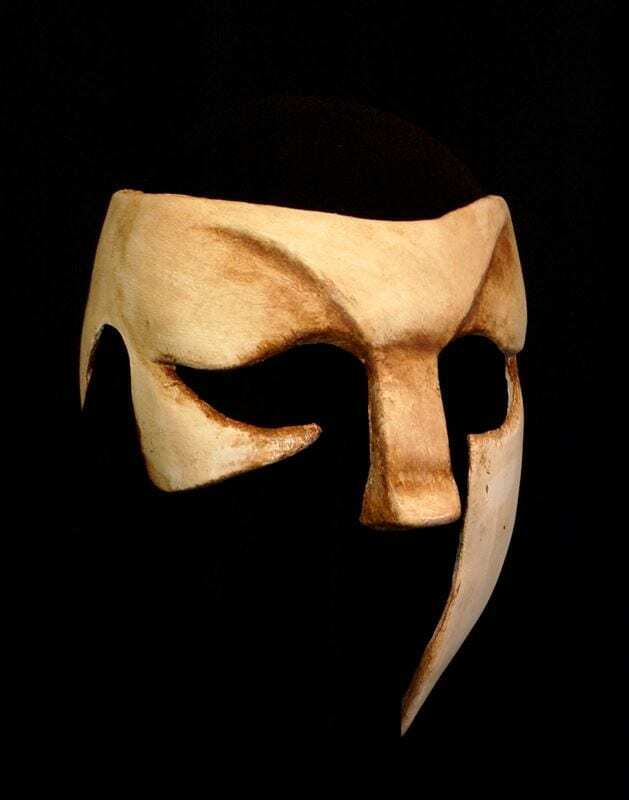 All the masks have to be painted so there is no extra cost for custom paint requests.